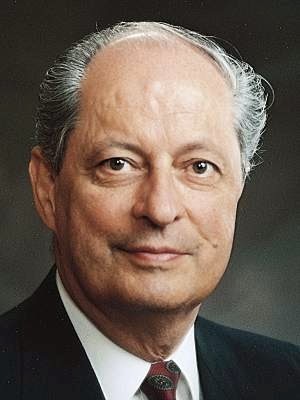 Elder Robert D. Hales (b. August 24, 1932) served as a Seventy from 1976 to 1985, when he was called as a member of the Quorum of Twelve Apostles. "What does it mean to be a disciple of our Lord Jesus Christ? A disciple is one who has been baptized and is willing to take upon him or her the name of the Savior and follow Him. A disciple strives to become as He is by keeping His commandments in mortality, much the same as an apprentice seeks to become like his or her master. 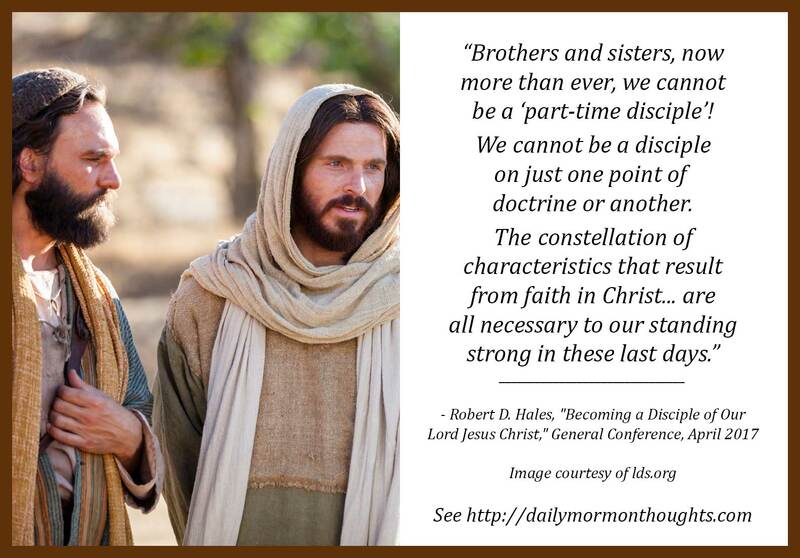 "Brothers and sisters, now more than ever, we cannot be a 'part-time disciple'! We cannot be a disciple on just one point of doctrine or another. The constellation of characteristics that result from faith in Christ—including the ones we have talked about today—are all necessary to our standing strong in these last days. "As we earnestly strive to be true disciples of Jesus Christ, these characteristics will be interwoven, added upon, and interactively strengthened in us. There will be no disparity between the kindness we show our enemies and the kindness we bestow on our friends. We will be as honest when no one is looking as when others are watching. We will be as devoted to God in the public square as we are in our private closet." Becoming a true disciple of Jesus Christ requires more than just a superficial acceptance of a code of beliefs, or joining an organization. Elder Hales teaches that "genuine discipleship is a state of being"—it means that there has been a change of nature in the individual as he or she adopts the way of life in deep and profound ways. The invitation for us, as prospective disciples of Jesus Christ, is to learn about his attributes in order that they can be "woven into the fiber of [our] beings." I am grateful for Elder Hales' description of the growing, iterative process of this transition: "As we earnestly strive to be true disciples of Jesus Christ, these characteristics will be interwoven, added upon, and interactively strengthened in us." A miraculous transition can and will occur when the heart is willing and the commitment is sincere and deep.